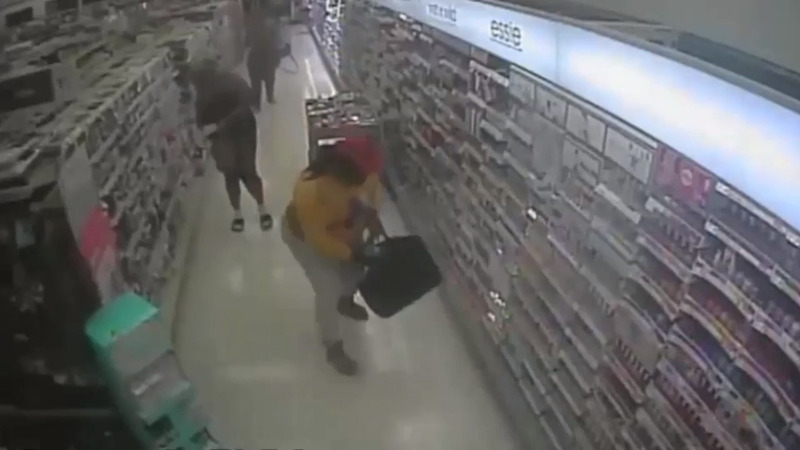 Surveillance video catches five women redefining the phrase “makeup job” in a Weston Walgreens during what Broward Sheriff’s Office says was a $5,000 theft. BSO released the video of the Jan. 16 robbery in hopes of catching the quintet of five-finger discount shoppers. Video shows them entering the Walgreens at 199 Weston Road at 6:01 p.m. A minute later, they’re in the makeup aisle, taking products off the shelves at a speed that would suggest a Buy One, Get Five Free sale. Except, they’re putting the makeup in purses and handbags. They leave by 6:06 p.m.
BSO detectives think they’ve hit other Walgreens in South Florida. Anyone with information can call BSO Det. Daniella Quinones at 954-626-4008. Those wishing to remain anonymous, but still possibly be eligible for a reward can call Broward Crime Stoppers at 954-493-TIPS (8477) or browardcrimestoppers.org.